The HoldFasT TM epoxy stick has superior bonding ability that allows you to create steps, caves, cliffs, and walls for aquarium animals to enjoy. It bonds all types of materials from rocks, to corals, to slate, and many more. 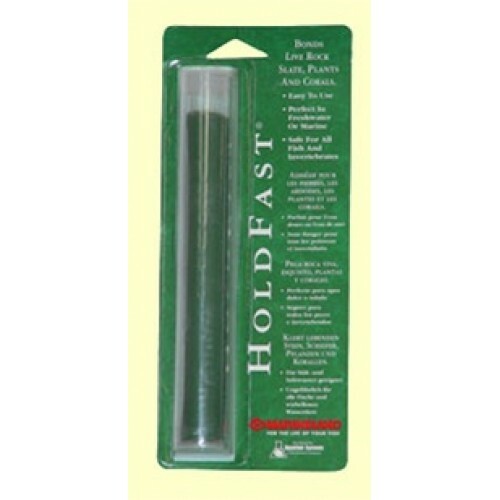 HoldFasT TM epoxy stick is non-toxic to fish and invertebrates and is great for use in freshwater or saltwater. 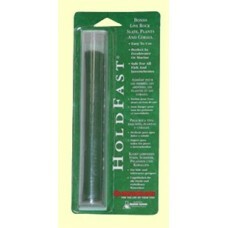 HoldFasT TM epoxy stick mixes easily in the palm of your hand. No messy liquids to measure and mix — just break off a piece, knead it in your hand until it turns white, and it is ready to bond.